UCCE staff researcher, Anna Howell, and UCCE advisor, Dr. Oleg Daugovish, have contributed an article, "Management of Lewis Spider Mite in Strawberry" to the February 2014 issue of the "CAPCA Adviser," a publication put out by the California Association of Pest Control Advisers. The article focuses on experiments performed in the laboratory and the field on the Lewis spider mite and the two-spotted spider mite. Tests were performed to evaluate the effectiveness of four types of predatory mites in controlling both kinds of spider mite. Miticide efficacy was also tested on the Lewis spider mite in bioassays. 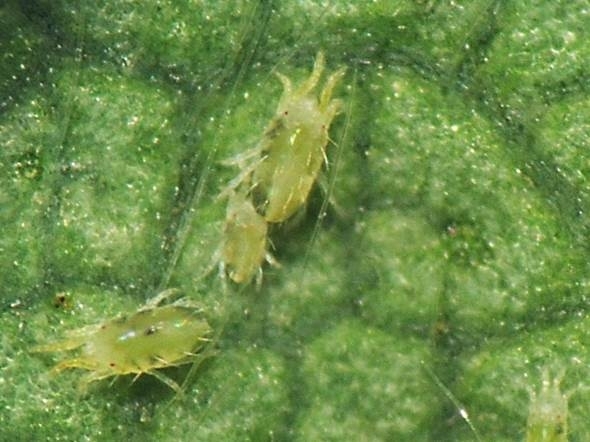 These mites can cause serious damage to strawberry and other agricultural crops with subsequent financial loss to growers. Spider mite research is particularly relevant to Ventura County where strawberry production is the top crop grown and spider mite infestations have been on the rise. Anna Howell is an experienced entomologist who has contributed her efforts to many research projects here at UCCE Ventura. Dr. Daugovish is UCCE's strawberry and vegetable crop adviser whose applied research benefits county growers and is an active contributor to "Strawberry Disorders: Identification and Management" website, a resource for assisting in diagnosing problems in strawberry. 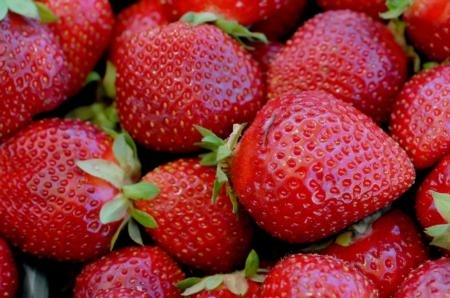 UC Ventura County Cooperative Extension advisor Dr. Oleg Daugovish has collaborated with UC strawberry authorities in the state to create a new website devoted to helping growers and pest control advisors diagnose disorders in strawberry plants. UC's Mark Bolda, Surendra Dara, Steve Koike and Kirk Larsen contribute their expertise in strawberries, plant pathology and pomology. The website explores chemical injury, nutritional disorders, physical and physiological disorders found in the field and during research. The team collaborates and shares information about these issues and discuss methods for dealing with them. The website is presented in English and in Spanish and is accompanied by large photos that focus on the problem areas. Check out the new website: Strawberry Disorders: Identification and Management. 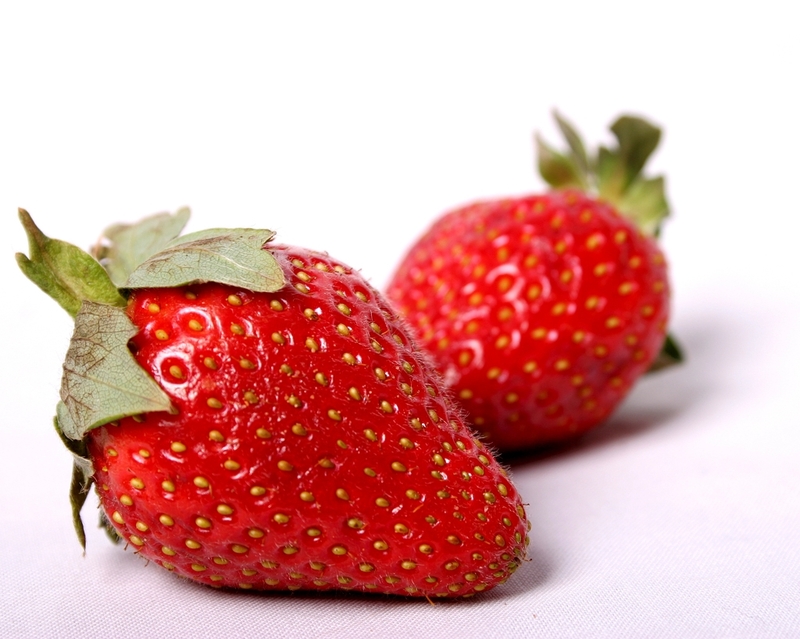 Join Ventura County strawberry growers at the 12th Annual Strawberry Production Meeting! Strawberries are the largest crop grown in Ventura County and represent millions in revenues to the area. UC Ventura County Cooperative Extension advisor Dr. Oleg Daugovish sponsors this event every year to update the public and county growers on the latest in strawberry research. The meeting will feature agricultural experts who will speak on topics relevant to strawberry production in Ventura County. Continuous education credits have been requested from the Department of Pesticide Regulation and VCAILG credits from the Regional Water Quality Control Board. SAVE THE DATE - THURSDAY, JUNE 6, 2013. 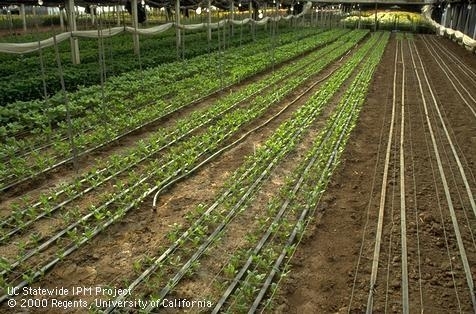 UC Ventura County Cooperative Extension's strawberry and vegetable advisor, Dr. Oleg Daugovish, will be hosting an irrigation field day in Oxnard. The event will be located at Henry Ito's ranch where attendees will be able to view plots and see the experiments at work and hear guest expert speakers on a variety of irrigation related topics including regulations, methods and test results. Two hours of VCALIG educational credits have been approved from the Los Angeles Regional Water Quality Control Board. For an agenda and map, click here.